There are a number of different reasons why you may want to extend your home for example you may want to create more space or add more value to your home. Before you arrange for a house extension to be carried out it’s important that you apply for planning permission, this is something that we can help with. We have years experience in providing house extension plans for customers in Glasgow, so rest-assured we are professionals. We use CAD facilities when we are carrying out loft conversion planning permission, this allows us to provide accurate drawings. 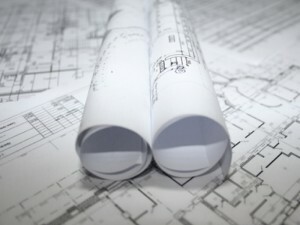 When you come to us for house extension plans there will be an initial consultation, this is normally at your home in Glasgow and it’s where we will establish whether or not your plans for your home are realistic (this will establish whether or not you will get planning permission and building warrant approval). We provide a fixed price for house extension plans, so there are no hidden costs whatsoever. The fee that you will ever be charged outwith our fixed fee is the cost for the council application which can be found on your local councils website. You may also be charged for structural engineering reports and if there any any major structural alterations taking place. To arrange for us to come out to your home in Glasgow to talk to you about house extension plans simply give us a call on 0800 520 0347. Alternatively you can email us at: admin@archiplanglasgow.com and a member of our team will get back to you.